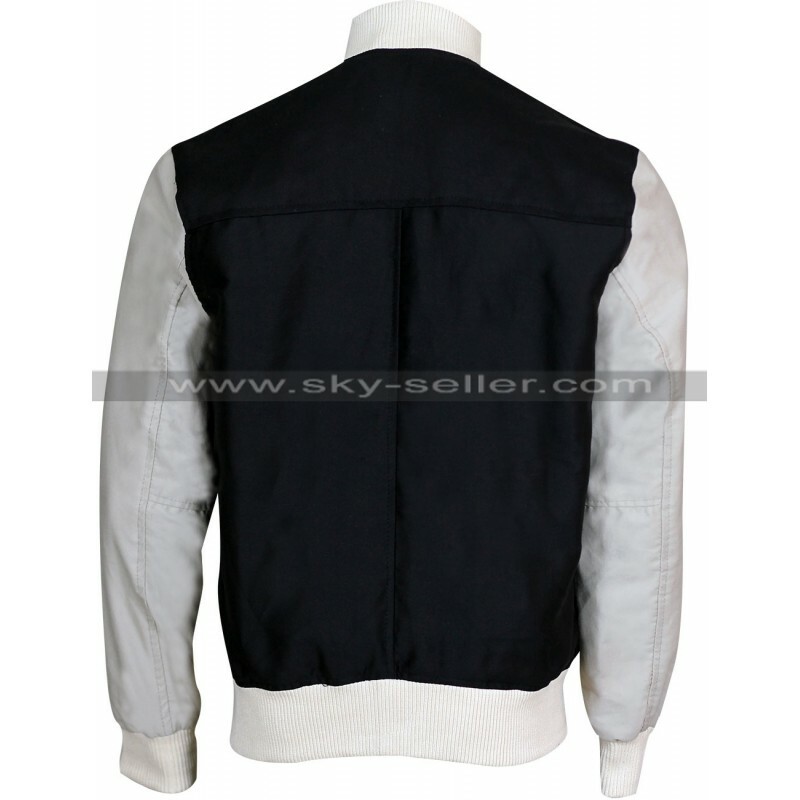 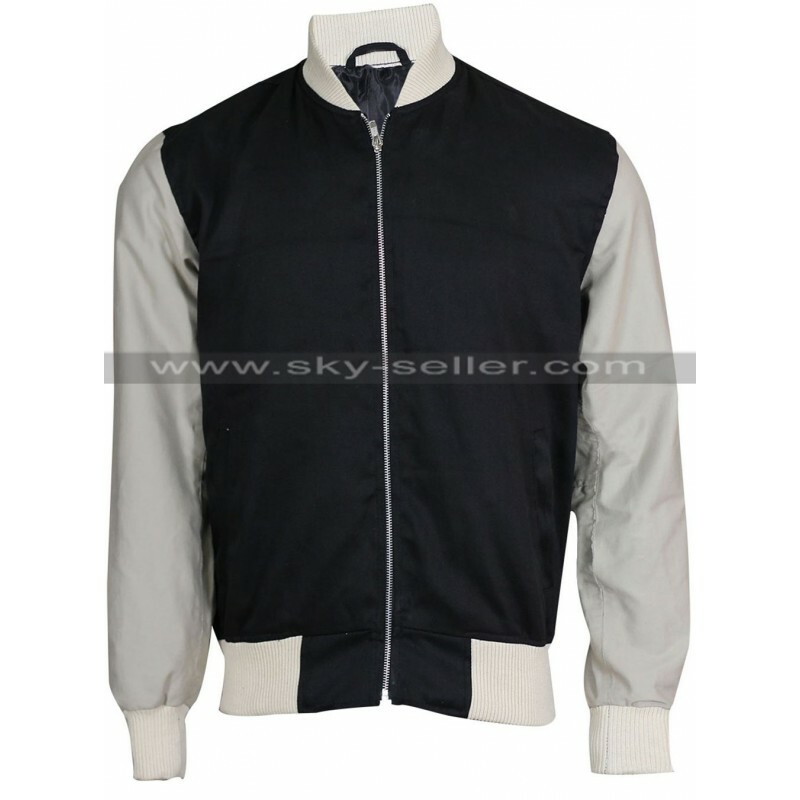 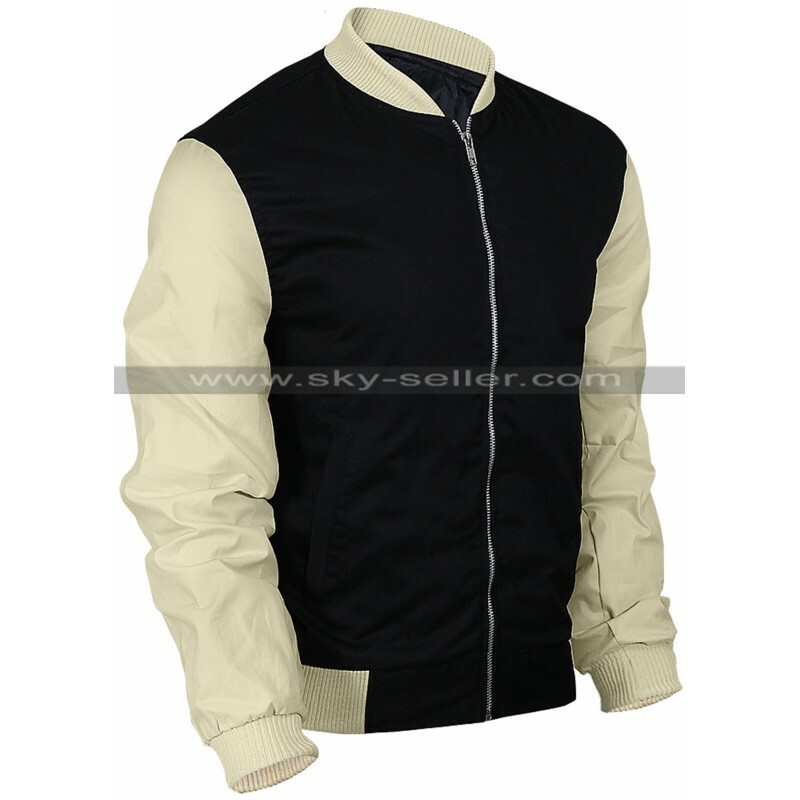 This is a beautiful bomber jacket inspired by the attire of Ansel Elgort from the movie Baby Driver. 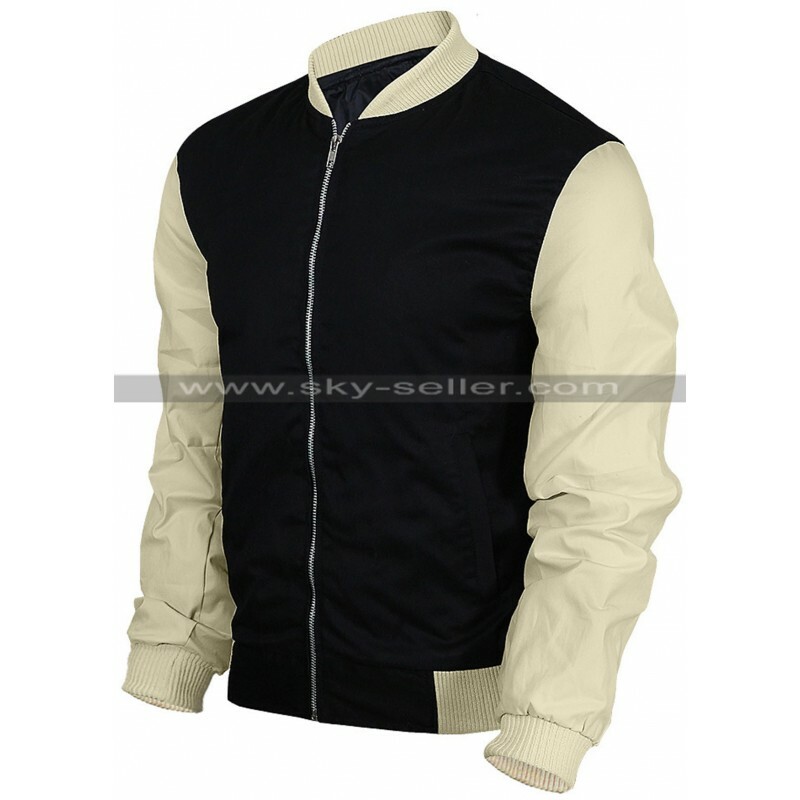 Made from cotton fabric, this varsity bomber jacket looks terrific because of its design and styling. 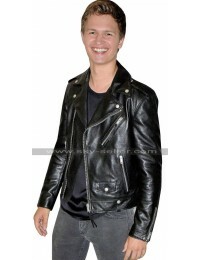 Ansel Elgort looked terrific wearing this jacket in the movie where he portrayed the character of a driver obsessed with music. You can look cool and stylish wearing this jacket in the outdoors. 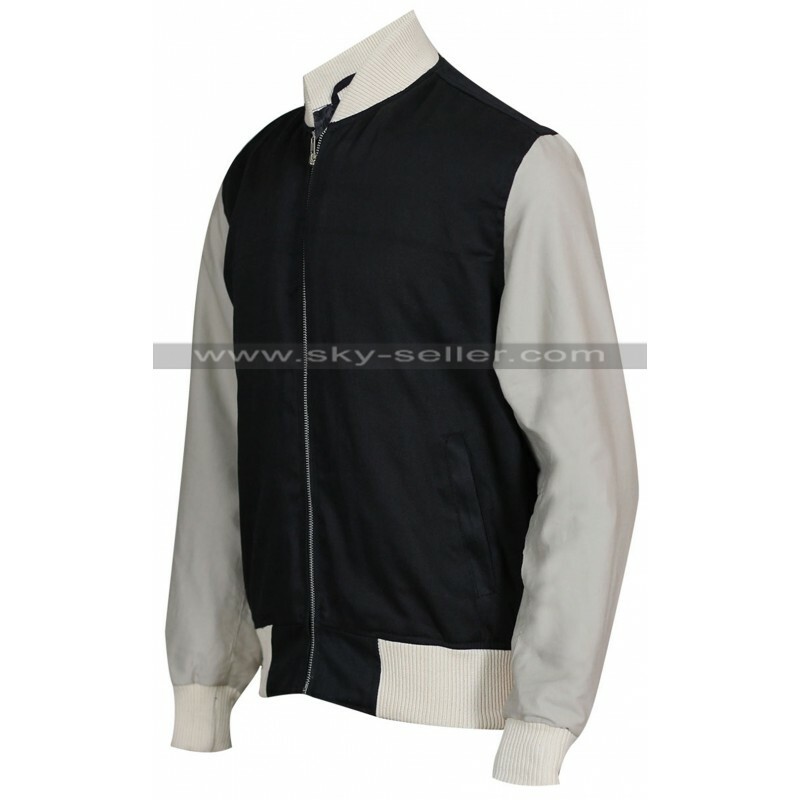 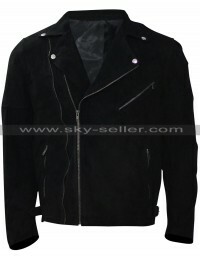 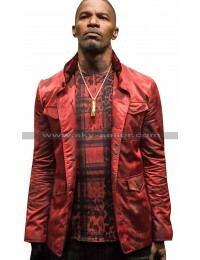 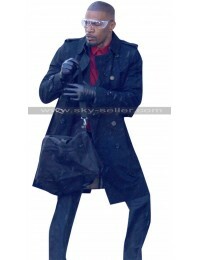 The material of the jacket is cotton and it can also be bought in Wool + Leather option in which sleeves are leather and bodice is wool made.It catches the attention of everyone because of its dual color tone. 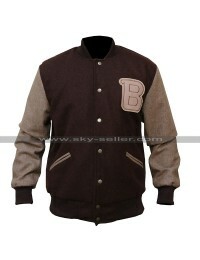 The jacket is black while the sleeves are light grey in color. 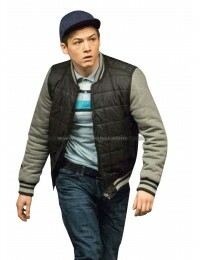 Rib knit on the cuffs and the waist give this jacket a very sporty look. 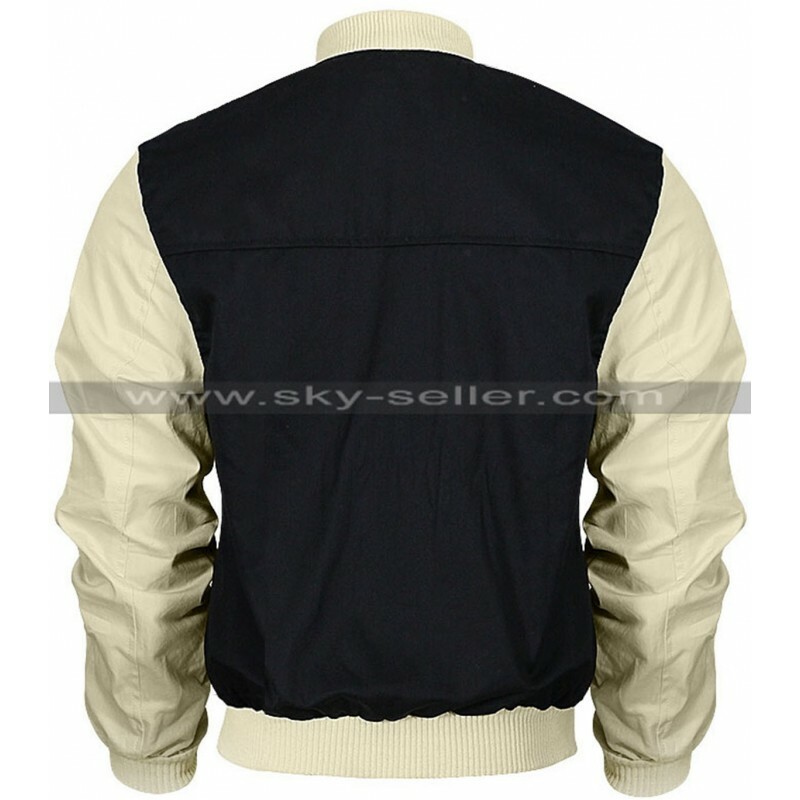 You can wear this jacket on any shirt or T-shirt and look good. 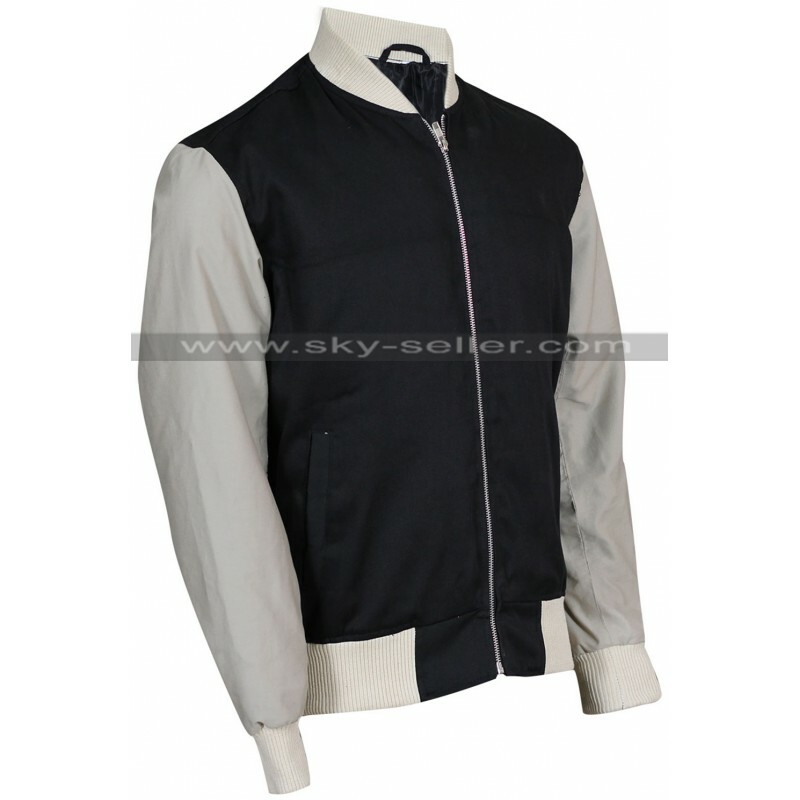 This is a great outerwear for sports and adventure activities in the outdoors.